Here is the Hi Well Mussel Glucosamin from New Zealand. 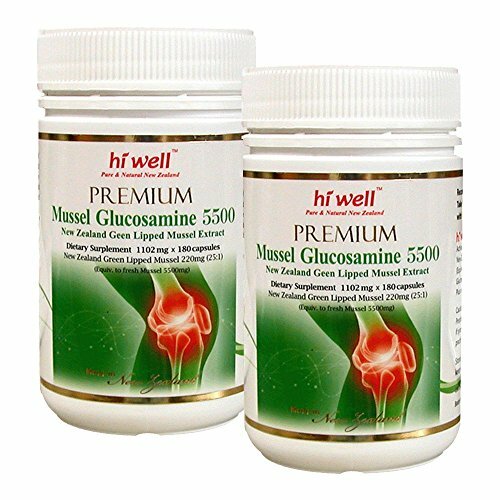 Hi Well Premium Mussel Glucosamine 5500 consists of New Zealand GLME (Green Lipped Mussel Extract) and Glucosamine. This is a highly strengthened formula for joint health and mobility, and provides a well balanced combination of Glucosamine Sulphate and New Zealand GLME. The combination of two natural GLME and Glucosamine has been used to maintain joint health and mobility. If you have any questions about this product by Hi Well, contact us by completing and submitting the form below. If you are looking for a specif part number, please include it with your message.